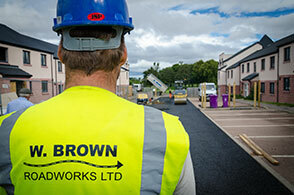 Established now for over 40 years W Brown Roadworks have developed a skill base in all aspects of road surfacing and have the skilled workforce personnel to deliver the work to an enviable high standard for all our clients no matter how large or small the project is. line marking and joint repairs. 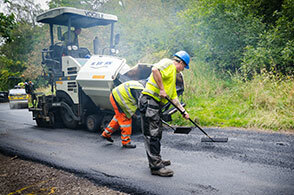 Our surfacing operation is fully equipped coupled with the experienced and skilled machine and hand lay asphalt teams. 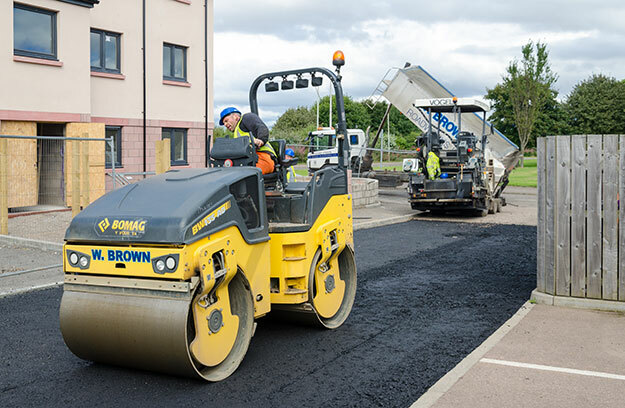 We are able to offer a cradle to grave service from groundwork preparations to planing operations to complement our asphalt surfacing. We are also members of the Road Safety Markings Association and can offer this as an additional road markings service to offer the complete finishing service. 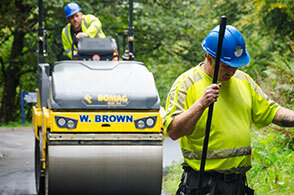 For further information on our road surfacing works and how we can assist you with your next project give us a call today on 01382 370379, or drop us an enquiry using our contact form..
Read about our latest contract in Crieff where we were awarded the contract to surface the road behind the Crieff Hydro Hotel.